Mindful Monday: Popsicles and Cookies for Breakfast! I could see the confusion wash over my oldest when I told him that they would be eating popsicles and cookies for breakfast… His wheels were turning and he was undoubtedly thinking, “It’s happened. The old broad has finally lost it.” No child, I am no more insane than I was yesterday. I am only pulling the nutritional wool over your unsuspecting eyes! Insert diabolical laughter here. Let’s be real, the first couple weeks back to school are tough. Getting back into routine and finding your daily rhythm is always a challenge. So, I thought, why not think ahead and at the very least, remove the challenge from one part of the morning… Breakfast! The first meal of the day is the one that is going to send them off to learn. They need something that is packed with energy for their active bodies and curious minds. A sugary boxed cereal, like Lucky Charms or Fruit Loops, is going to come in at about 150 calories per serving and 13-15 grams of sugar. Add 2% milk and you’re looking at a total of around 250 calories and 14-19 grams of sugar. 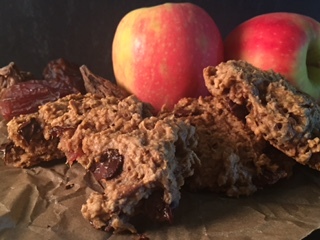 This breakfast cookie comes in at 195 calories and 7 grams of sugar. It’s a substantial serving size too! Definitely something that will stick with them. Paired with the fruit and yogurt popsicle, you are looking at 260 calories 11 grams of sugar, 14 grams of protein and 4 grams fiber. This combo packs a nutritional punch that cereal cannot touch. 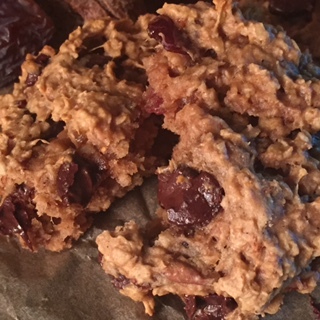 Combine flour, oats, baking soda, salt and cinnamon, set aside. 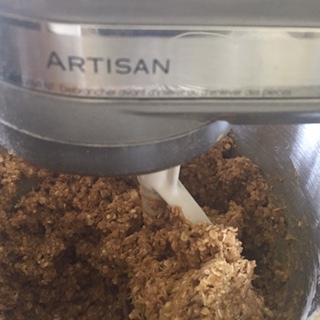 Mix peanut butter and brown sugar until smooth. 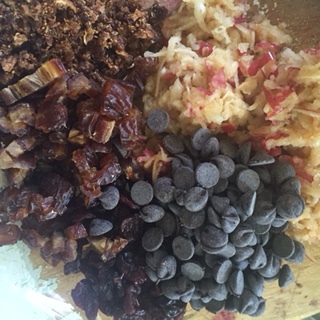 Add egg and vanilla and beat until combined. Mix in banana until smooth and creamy. Slowly add flour mixture in thirds until incorporated. Stir in remaining ingredients until well combined. With a standard ice cream scoop, drop dough onto parchment lined baking sheets and use your fingers to slightly flatten the mounds. Leave at least an inch between each. Bake in a 350 degree oven for about 15 minutes. Cookies will be firm but chewy and can be stored in an air tight container for a week in the fridge or a month in the freezer. Recipe makes 20 large cookies. 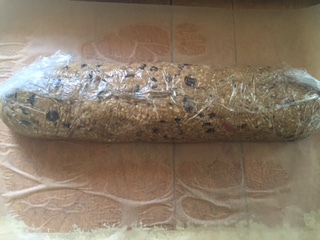 I made a double recipe and froze half of it in a log that will be ready to defrost and bake up as needed. Also, feel free to sub as needed or desired. No dates? 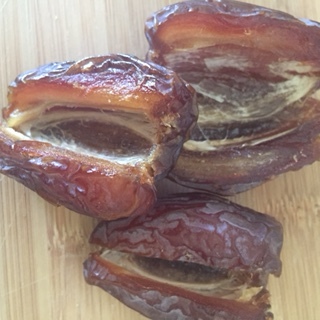 Try dried apricots. Raisins instead of dried cherries? No problem! This is just a guideline. The possibilities are your to discover! Combine yogurt and honey, mix well. 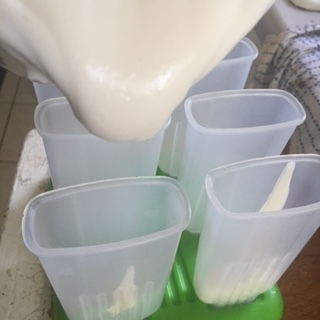 Start with a bit of yogurt in the popsicle moulds. Begin layering fruit and yogurt alternately until full. 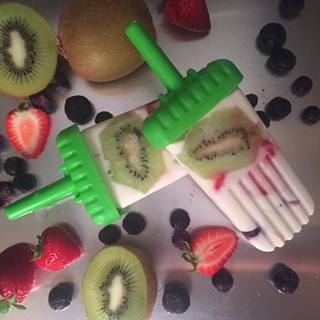 This recipe makes about 10 standard popsicle moulds. I believe mine are around 4oz each. This is super easy as far as prep goes and it’s great to be able to control the ingredients. If you want a higher fruit to yogurt ratio, you can totally do it! 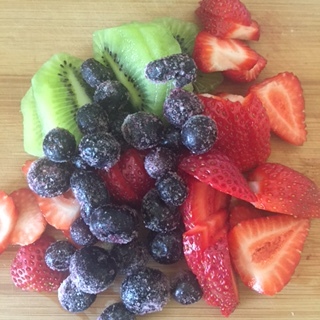 Whatever fruit you’ve got on hand will work, it would be a great way to use up some fruit that might be on it’s way out soon. Not only can you feel good about grabbing this for yourself, but your children will think you rock! I hope the back to school crunch is easy on you and I hope you’ll try this little morning hack. Swearing Mom out. Previous Post A Formal Appology To My Second Child, “What’s his name”.